This skinny peppermint mocha coffee creamer tastes so good, you'll never know it's a lighter version. I've been making skinny flavored coffees and coffee creamers for a while now, but I didn't think about blogging them until recently. I wasn't sure if you'd be interested in skinny coffee drinks next to my DIY beauty products, but you most definitely are based on the views and shares they are getting. 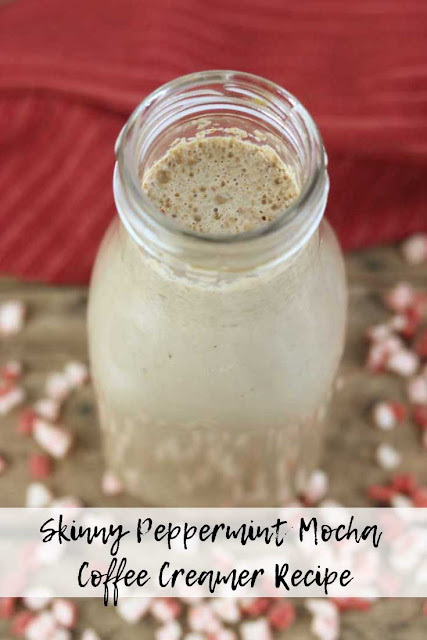 Today, I have a skinny peppermint mocha coffee creamer recipe. Last year, I posted a skinny peppermint mocha coffee drink. It's wonderful, but my mornings are super busy. I just wanted an easy peppermint mocha coffee creamer recipe that I could just grab from the fridge to quickly add to my coffee. 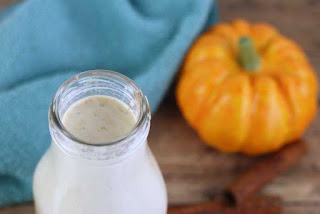 Since pumpkin spice season is over, it was time to switch to a winter coffee creamer. I love peppermint mochas, so here we are. Like most of my recipes, there are options for this recipe. You can use your choice of milks and sweeteners in this recipe. 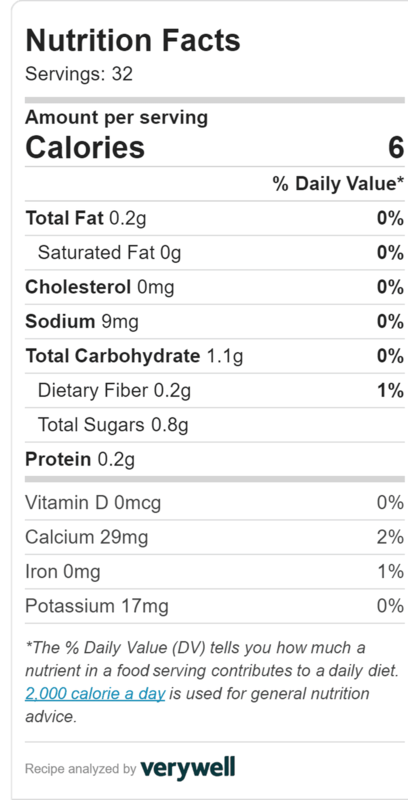 Your nutrition value will change, but I'll show you how to calculate that, too. I'm not sure why where is vegetable oil in coffee creamer! It's a high oleic oil, which means that it's more shelf stable. When we found out that trans fats were bad, food companies started looking for other oils that would be shelf stable for longer periods and came up with oleic fats. It's believed to be fairly healthy and does lower LDL (bad) cholesterol without lowering HDL (good) cholesterol. That said, I don't think it belongs in my morning coffee. About those bad trans fats. Since they are a no no for food, they had to be replaced with something else. Mono- and diglycerides contain small amounts of trans fats, but they can be used in foods because they are used as an emulsifier. As for the flavoring, I've covered this before. Natural flavors can be anything in nature. It could be from the hind leg of a bug. We have no way of knowing. I prefer to avoid carrageenan, too. It's been linked to inflammation. I have enough issues with RA and inflammation in my body, so I don't need to add to it with food additives. 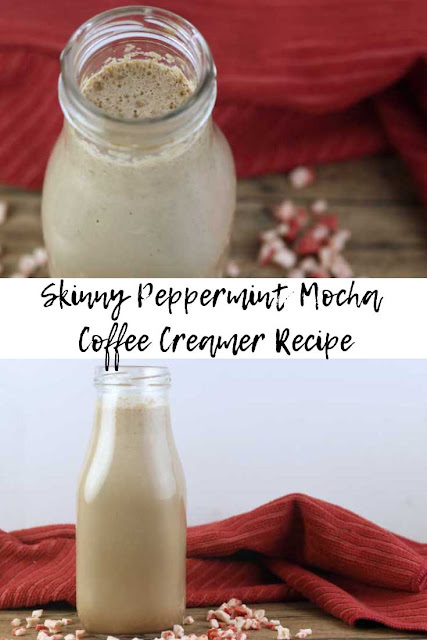 According to Verywellfit, this skinny peppermint mocha coffee creamer made with unsweetened almond milk and coconut sugar has just 6 calories per serving, 0.2 grams of fat, 1.1 grams of carbs, and 0.8 grams of sugar. That's a significant calorie savings! If you'd rather have a powdered coffee creamer, try my homemade powdered coffee creamer recipe. I've been using unsweetened almond milk lately. I think it's is a good as half and half or as creamy, but it does taste good in recipes like this one. Sometimes I use half and half or whole milk, and they both taste great. You can also use coconut milk or even soy milk if you want to make this dairy free or just prefer the taste of those milks. I like to use coconut sugar as a sugar replacement. It tastes the most like sugar and doesn't have a bitter aftertaste. Coconut sugar is said to have a lower glycemic index than does white sugar. It's still not exactly a healthy food, but it is better than eating sugar. I used 2 tablespoons of coconut sugar to make mine and to calculate the nutritional value. I prefer a more creamy creamer and not necessarily a sweet one. If you like sweet, then use 3 tablespoons of coconut sugar. I grew peppermint this year, so I was going to make my own. But life happened. It just didn't get done. I did find a pure peppermint extract made with just alcohol, water, and oil of peppermint. I used the McCormick Pure Peppermint and used 3/4 teaspoon, but I wanted more peppermint flavor. If you use another brand or want a milder peppermint flavor, use less peppermint. I would recommend using 1/2 teaspoon of peppermint, chilling it, and then tasting it. If you want more, you can add it and stir it to mix it. I'm the only coffee drinking in my house. I use a Cuisinart Grind and Brew. I have an older model, but this is very similar to the one I use. I'm actually on my second one. The first one lasted I think 10 years! My cheap coffee pots didn't last nearly that long, so I'd say that it was a good investment. As for the beans I use, I typically get what's on sale. I really like Gevalia and Eight O'Clock beans. The whole beans at Aldi are really good, too. Combine your milk choice, cocoa powder, and coconut sugar in a small pan. Heat over medium heat until it starts to simmer. Turn the heat to low and simmer for 5 minutes. Use a whisk to mix well. Remove from heat and let cool for about 5 minutes. Add the peppermint extract and stir. Let cool completely. 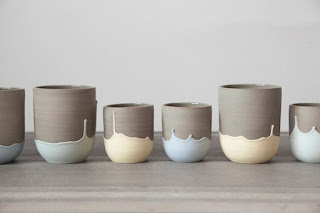 Pour into a mason jar or other container. Refrigerate until needed. I like the pouring lids for mason jars for my homemade coffee creamers. When you're drinking fancy coffee, you need a fancy coffee cup! For my being the only coffee drinking, I really have a large collection of coffee mugs. I used to get them on clearance at the Disney store, so I have about 15 that have made it several years. 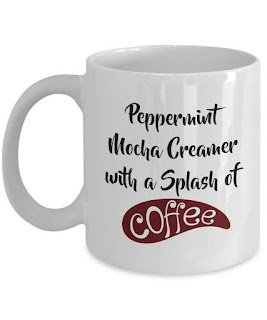 I love this peppermint mocha coffee creamer mug!